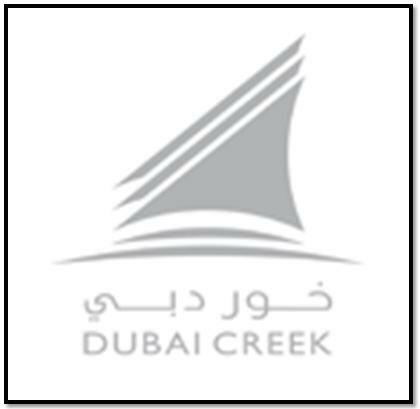 Dubai Creek & Yacht Club started its operations in 1993 and is ideally located near the Creek and Marina. The course portrays the sporting oasis in the heart of the city while providing a unique environment and a pleasant journey across the fabulous landscape of Dubai. At this club, you will be entertained with a good number of leisure activities and a relaxing atmosphere. The club hosts an 18-hole, par-71 championship course and provides outstanding facilities to the golfers to get an exciting experience at this place. The splendidly manicured fairways along with huge date palms and coconut trees, eye-catching water hazards and scenic views certainly attract visitors to this place and enjoy quality time with their friends and family. You will find a fully stocked Pro Shop that carries everything you could possibly imagine for a great day on the golf course. No matter what you are looking for the Pro Shop will have what you need. You can also take advantage of their exclusive outdoor venues for events which you can book for a private occasion. Individual functions and corporate gatherings are just a few examples of what you can do with these exclusive outdoor venues. Enjoy countless hours on the beautiful marina and watch the boats and yachts gently cruise by. You might even find a yacht cruise to take if you are up to it. The Fit Lab at Dubai Creek can provide endless hours of personal fitness facilities for you and your family. Visit the bar for a nice cold drink on hot summer day. You and your guests will definitely find many people to chat with at the bar. Sit and have a nice time as you enjoy the ambiance. Eat scrumptious meals prepared with the freshest ingredients at the restaurant. You will find something for everyone as you enjoy a nice lunch or dinner at the restaurant with family and friends. Take an invigorating swim in the temperature controlled swimming pool. You can spend countless hours having a dip in the pool. Take a walk around the private gardens as you enjoy lovely views of the Creek and golf course. You can spend a few hours taking a gently stroll and enjoying the ambiance. Dubai Creek & Yacht Club offers various kinds of memberships to its esteemed visitors. Dubai Creek & Yacht Club remains open 24/7 but if you’re planning to pay a visit, you have to make online reservations or call them at their contact number to get the exact timings. In order to visit Dubai Creek & Yacht Club, head towards Sheikh Rashid Road near Dubai Creek, where you can easily locate your required destination.